Action-ready insights for clinical development. Consider us your partners in all phases of clinical research: from protocol design to marketing authorization. All phases of clinical trial drug supply, including importation and post-conclusion disposal. Our legal services group provides critical representation to EMA under Article 19 of the Clinical Trials Directive. 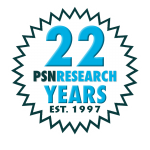 PSNResearch is built on the idea that young, emerging and innovative biopharmaceutical companies deserve the highest levels of respect and quality of service. Our international framework and innovative process has resulted in the design/implementation of sophisticated protocols, including MTD/DLT, pharmacokinetic analysis, and EMA/FDA/regulatory presentations and packages. Our approach includes adaptive trial methodologies: statistical analysis is one of the most powerful tools in our portfolio for maximizing protocol design value, trial efficiency, and confirmation prospects. Our clinical research services include, but are not limited to the list to the left. We have first-hand experience, often in former careers in the pharmaceutical industry, with unsatisfactory service from mega-CROs. The PSNResearch way is different: our team is made up of innovative and engaging professionals who as individuals and collectively are devoted to your success.